I bought the collector edition to use the BETA and I'm staying very disappointed and I see little assistance to the players. Referring to the problem. I installed the game on steam when I go to run it nothing happens, you do not start. I restarted the system, the drivers are updated and my PC works perfectly with all games. Possible that there is not adequate support for those who have spent so much money and then not part of the game? At least write it in the faq so at least one before buying the game is alerted and will rule. If in the Relas the game there will be the same problem as we set? I have to put a lawyer? Hi, sorry to hear the game won't start! So if I understand you correctly you don't receive any error message? Does the game appear in the task manager? It's very hard to guess what the problem might be, it seems to work for most people. what do I have to do ? and if I have the same problem to Relas? I see that many people have the same problem, the developers what they plan to do about it? I still was not able to try the game by spending 50 euro. I repaid the sum? it seems fair to let the rest of the players who have trouble drifting? You can not quickly come just saying sorry, you're trying to find a solution? not talking about 3 or 4 players, but many. Hi, sorry again. I don't think we'll be able to solve the problem for you soon, so we'll of course give you a refund. Should be on the way, soon! Sorry, again! I had this issue with Win7, this is what I posted in a similar thread that solved the problem for me. Ok I have solved the not launching issue. After a few hours of research (including similar issues that occurred with the Alpha), I found that the C++ runtime and dll missing item can be fixed by doing a windows update. The problem with this update is that it can be PAINFULLY SLOW or non existent! So the trick is to get Windows to first do "check for updates". But there is a well known issue with this taking Win7 users an extremely long time to work or do nothing. So if you haven't updated Win7SP1 for a long time you better do it. Just do the Update for windows and the security updates (not the -BEEP- that you don't need or want. ie. I don't want Win defender updates or IE updates etc) .If you get these to update then you need to install the OPTIONAL updates ( because in there are the required C++ and net framework items the game NEEDS). I did step one and it worked for me! One last note, it is important to update the OPTIONAL updates for net framework and C++ runtime etc, as these seem to fix a .dll issue also. Without these fixed the game will not run. Thanks for your support and your patience! I think this was posted somewhere else, it could be that something went wrong with your download on steam, you should right-click on Everspace in your Games Library, select Properties, then the Local Files Tab (the 3rd) and there the lowest button "verify integrity of game cache". Or if you have the time and patience you could try deleting the game via steam and then downloading again. I hope any of this or what Santa posted above helps. Verify integrity of game cache for my issue was no help, nor was reinstalling the game (3 times). I even reinstalled steam! 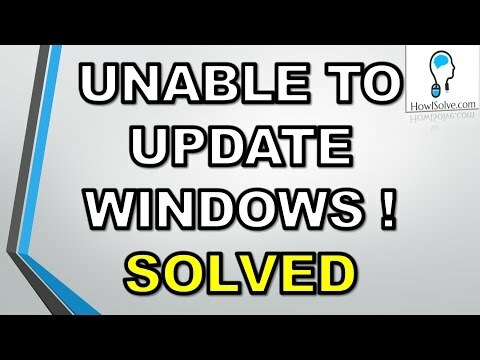 Getting Windows to update correctly fixed my not launching issue. Not have problem for update windows 8 . Did you try the ipconfig flashcmd thingy in the video? He's hard to understand but he shows the steps so it is worth a try. I am not sure about Win8 though. I have a private conversation with one of the developers, and I was told that the problem is indeed serious and we are working to fix it, do not think is caused by other problems as all the 1500 Games leave me with no problems, and my computer It would seem to be fine and updated. Even they were offered a refund for not having tested the BETA. ...just stumbled across this thread....I'm glad its just not me...I SO want to play this game!!!! My thread is over on the Hardware & System forum. can you please work through our new game-won't-start solution list here? I'm especially interested if you get any kind of error message when trying to start the game manually (Step 3 in that list) or at any other step.